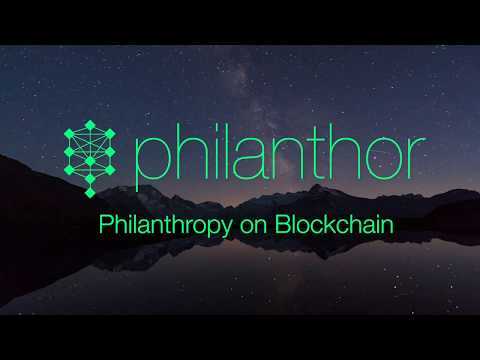 Philanthor is a Philanthropy Foundation that runs over blockchain and makes it possible for everyone to become a philanthropist. Phlianthor is a collective mind of our member's beliefs of how a better world should look like translated into a DAO system. Based on the member's choices we allocate funds to grants, charities and causes and other areas that needs to be fixed to improve life on earth, and we analyse the data to measure the social impact of our work. We need more projects like this. More humanitarian projects. Less greedy wealth machines. By improving the lives of those in emerging economies we can improve the lives of everyone. Good team.... solid and credible. Whitepaper needs smaller fonts, it's about quality, not quantity of pages. Implementation of a AI & machine learning platform for user verification. Development of an AI based Video analytics platform. Continue development work on the technology and platform.